Have a downed, damaged or dying tree that needs to be trimmed, felled or removed? These Albany area tree care businesses provide tree removal, stump removal, tree trimming, tree maintenance services and more. Contact them to come to your home or place of business to assess the tree and decide the best course of action. Adirondack Tree Surgeons is locally owned and family operated. 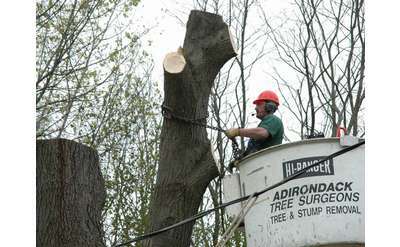 We have been providing tree care service to the Adirondack Region of Upstate New York since 1981. Servicing Saratoga, Warren and Washington Counties as well as the Capital Region. The Davey Tree Expert Co.'s Latham NY office Specializes in a variety of tree care and lawn maintenance services, including tree removal and trimming, tree and shrub fertilization, and pest/disease management.